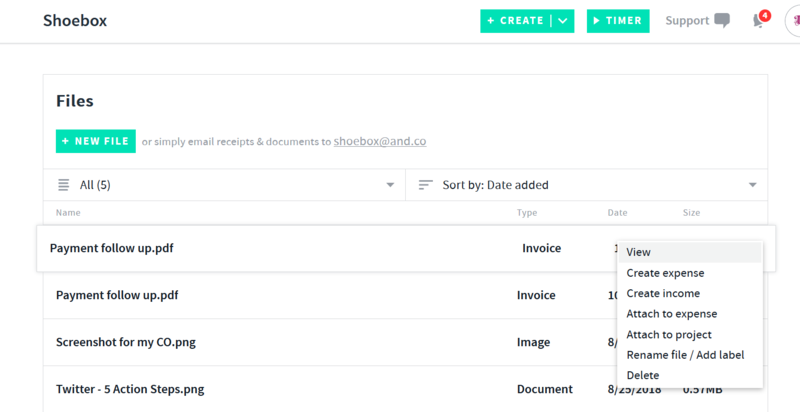 How Can I Email Documents To My Shoebox with AND CO? Email receipts, statements, business documents or anything you need to record in your account right to your Shoebox tab in the app! Once you have emailed your documents simply log in via the web-app > select the Shoebox tab from the left hand menu bar and you will see your document appear. Select the menu icon (3 little dots to the right of the document) to make any actions.